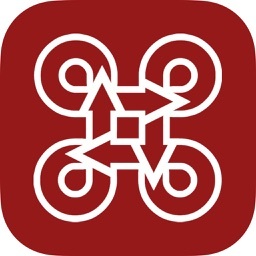 Keymand by Keymand Technologies. 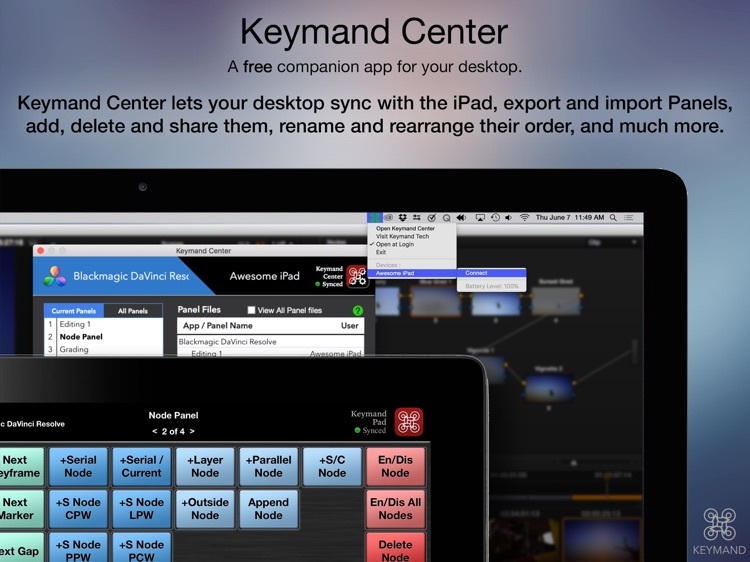 Inc.
Keymand lets you gather, organize and easily access any keyboard command for every desktop application you use. Every desktop application gets its own unique Keymand Station. Every Station displays a Panel with 64 programmable buttons and you can add as many Panels as you like. 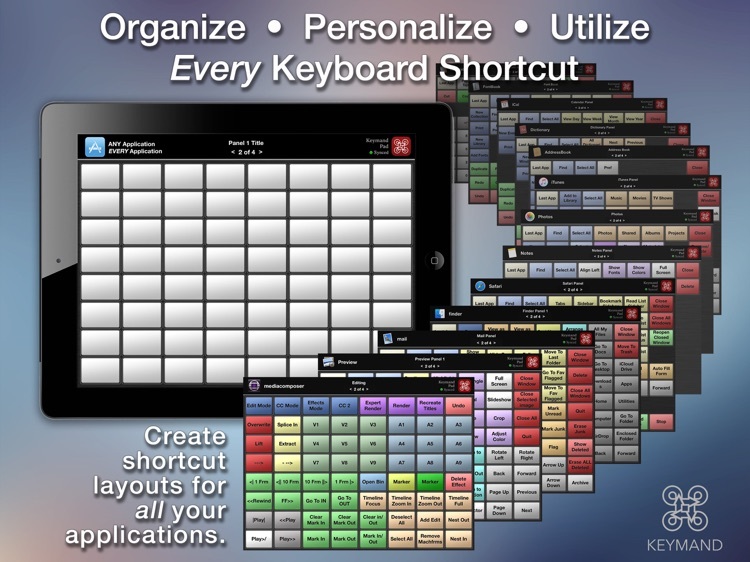 Each Panel Button can be personalized - with any shortcut, title and color - in seconds. Fast, easy recall – no memorizing. Switching between Stations happens the instant you switch between applications on your computer. We have included a number of prebuilt panels. They’re easy to change so make them your own. Enjoy. Organizing and using keyboard shortcuts has never be easier! 1 A USB connection to the desktop or laptop computer is required in order to provide a solid link and constant power for all day work. 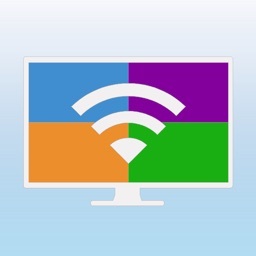 2 THE FREE KEYMAND CENTER APP IS REQUIRED ON A DESK OR LAPTOP COMPUTER TO SYNC WITH THE KEYMAND APP ON THE IPAD. 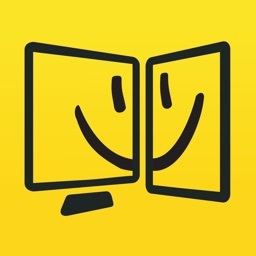 Visit our website (KeymandTech.com) to download this FREE app on as many computers as you need. • Keymand Center is a powerful but specific desktop application that does not conflict with, or compromise, any other function of your computer. 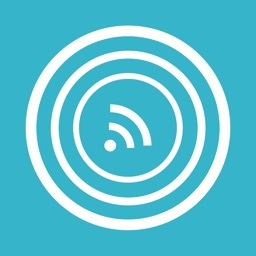 • Once a connection is made Keymand will sync every time it’s active on the iPad. 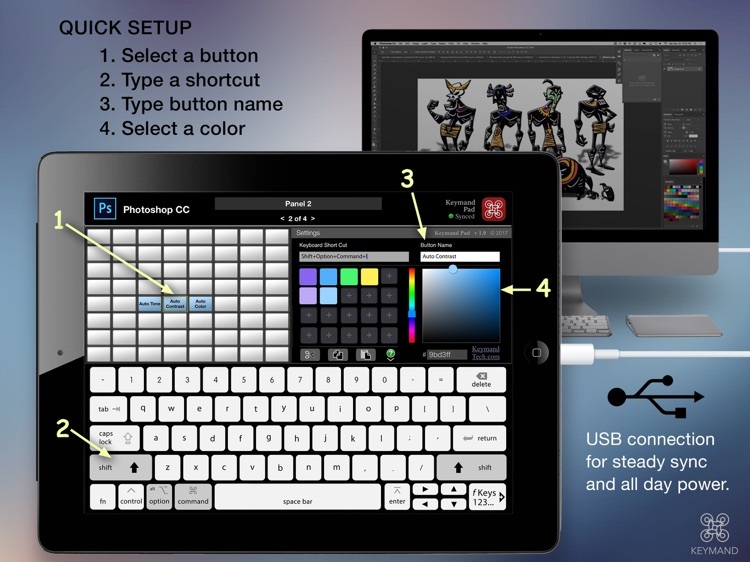 • All your Station settings are stored on the iPad. They go where you go and are ready when you need them. In addition, you can export, share and import Panels too. • Keymand is optimized for the iPad Air and will scale for the iPad mini or the iPad Pro. 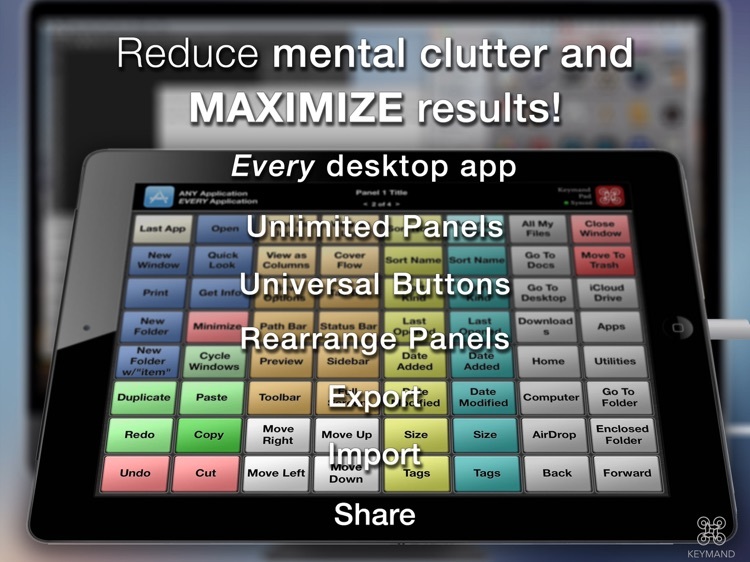 Keymand helps reduce the mental clutter so you can maximize your results. Does this replace my keyboard? No. Keymand is an extension of your keyboard. 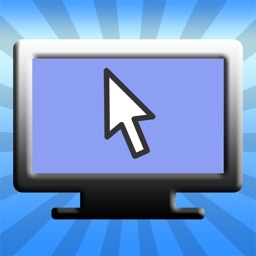 It gives you more control over the selection, use and placement of keyboard shortcuts. Keymand is designed to help you to be more efficient. Can I connect this though a USB hub or keyboard USB connection? Yes. Communication to and from the computer will also work through a hub or the keyboard’s USB connection. We recommend that your USB connection provide power to the iPad since you may be leaving it on for extended periods while you work. Will it work on my older iPad? Yes. Keymand works on the iPad 2 and up, running iOS 9 or newer. Many users are repurposing their old iPads and getting the same power and performance. With Keymand Pad running, can I use my iPad for other things? Yes. Switching between apps on your iPad will temporarily break Keymand’s sync but all background functions work as usual. If you ever have any problems with Keymand software please let us be the first to know so we can find a solution.